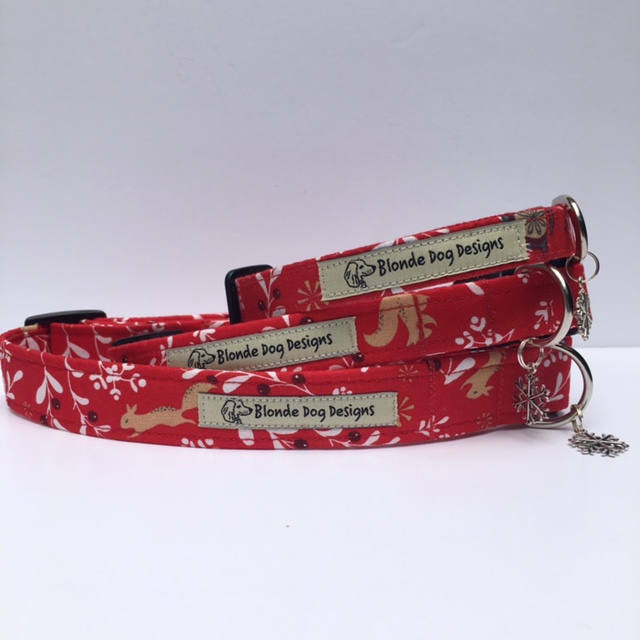 Blonde Dog Designs bring you our Festive Berries Dog Collars - they're festive and they've got it all, berries, baubles, mistletoe and maybe a squirrel or two! 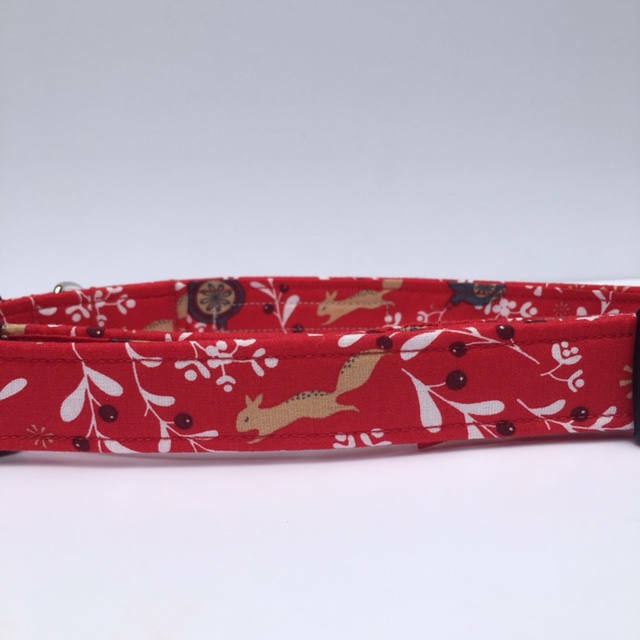 Small 16mm wide, fits neck approx 9" - 13"
Medium 20mm wide, fits neck approx 12" - 17"
Large 25mm wide, fits neck approx 16" - 23"
Collars can also be made to order if you require a longer/shorter length. * Soft cotton fabric outer. * Strong polypropylene webbing inner. 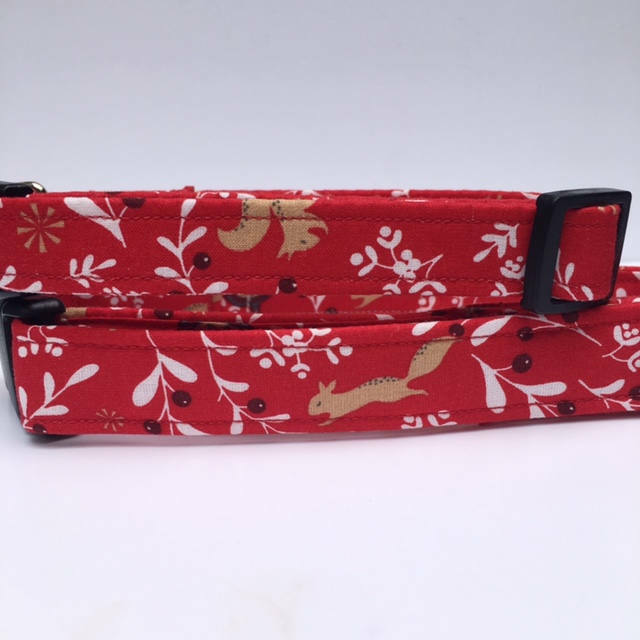 * Contoured side release buckle for comfort. Please note that collars may vary slightly from those shown in photos due to where they have been cut in fabric's pattern repeat. We suggest you wash product by hand and allow to dry naturally, if you wish to wash them in a machine you can do so at up to 30 degrees, please make sure you protect product and your washing machine by placing them in a sock or something similar prior to washing. 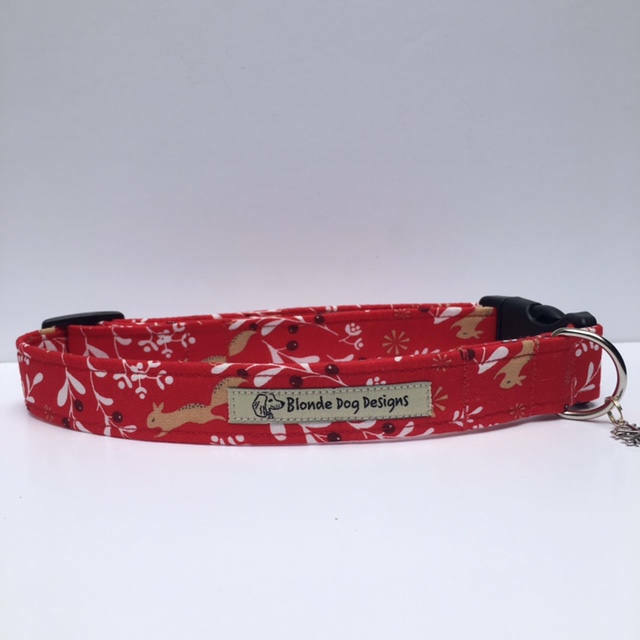 As with all pet products, nothing is indestructible, please check your collar regularly and replace at the first sign of wear and tear. 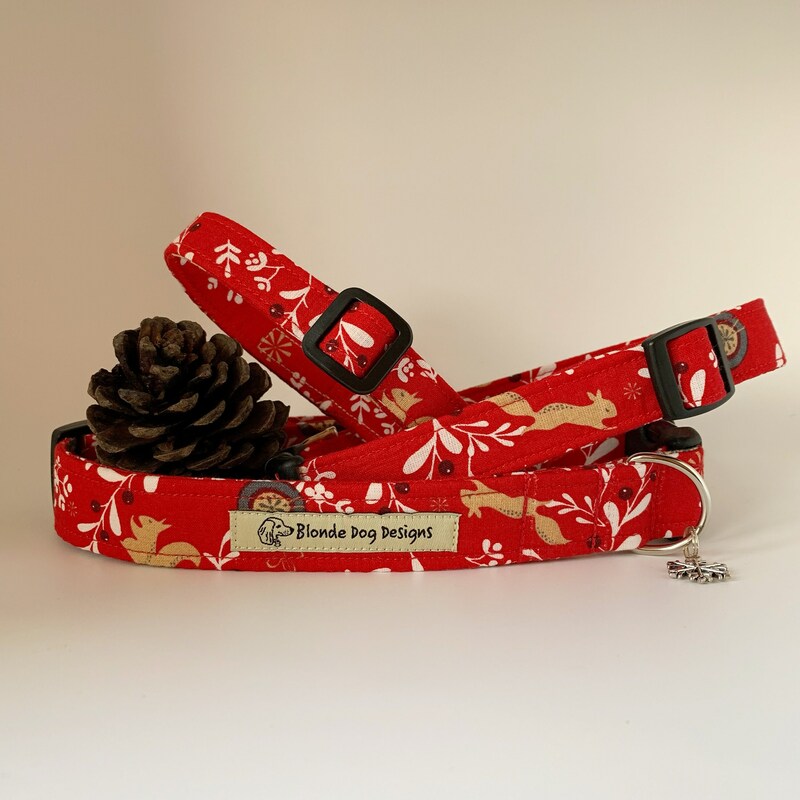 It is your responsibility to ensure the suitability of this product for your pet - we cannot be held responsible for any injury, loss, or harm caused either directly or indirectly. Very very nice e well refined.